Hi beautiful people! Hope you are all doing great. The week has been great and I am feeling stronger each day despite the constant change in weather. The weather at times felt like spring and we have had a couple of windy, breezy and rainy days. 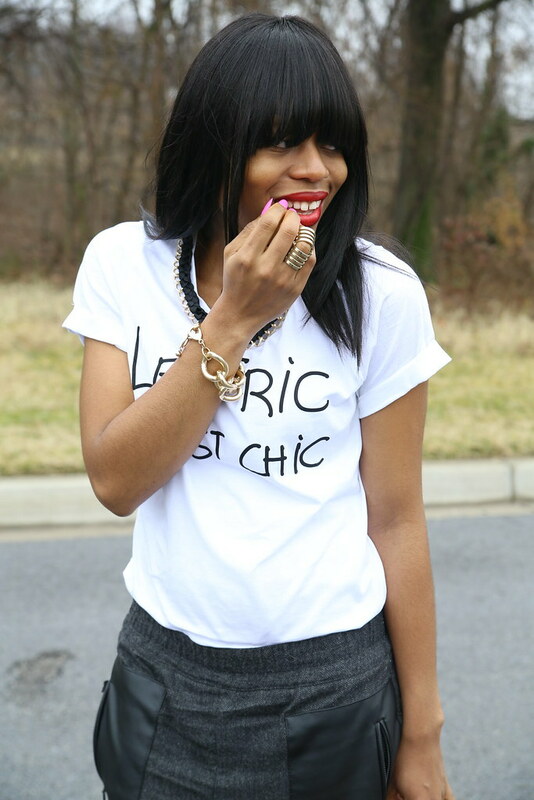 I took advantage of a beautiful spring-like weather to wear my "Le Fric C'est Chic" t-shirt. I bought the t-shirt last December in Canada while shopping with Ciaa. The simplicity and writings on the shirt caught my attention. Keeping the outfit simple, casual and comfortable for my growing waist line, I wore my Zara Herringbone trousers, which has an elastic waist. I love the leather pocket and zip details. I completed the look with my favorite beige coat for a touch of sophistication. You look amazing and I love those pants. Very sporty-chic. I love it! Love this look honey!!!! I have those same pants!!!! You just gave me an idea how to wear them!! Love your style!!!! 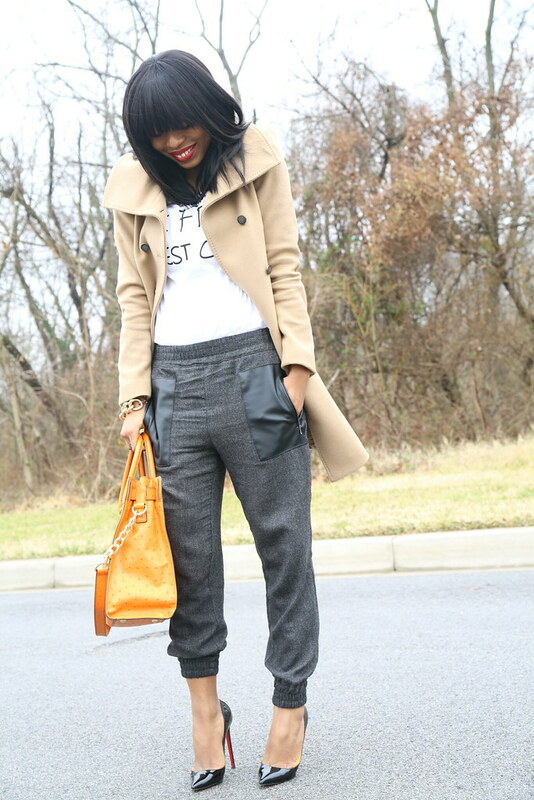 So simple yet so stylish.. how i love this look. I love it all and mostly your MK bag! Girl you look gorgeous! I love the T-Shirt. Love the bag too, the colour is yum! Fabulous love the pants and jacket! That is one cool tee. You look so chic, i love that coat!! Love that tee and I'm so excited for your growing family! Thanks you all for the sweet comments and taking your time to read and comment. I love this!!! Those pants are so cute!! I love this look Stella! So Simple and Chic. Love your blog.